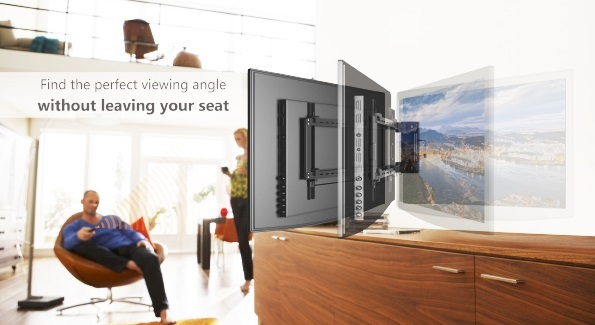 You can now enjoy your favorite movies and shows from multiple places or even multiple rooms. Everything you need is in the box and the mount can also be programmed with your favorite position so with one press of a button your TV swings out to your stored location, you can even use your existing TV remote. Lithe Audio motorised swing brings you a set of new and completely unique opportunities to enhance you TV viewing experience. No longer do you have to be confined to a stationary TV let it come to you instead. 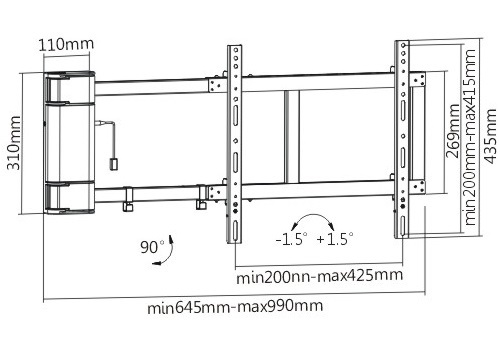 AV Installs engineers have used this mount extensively in its own TV Installation Services and our engineers report that it is easy to assemble and everything you need and more comes in the box along with detailed extensive installation instructions. With the Lithe swing, you don't have to worry about having to keep track of an extra remote, the intelligent IR receiver conveniently learns your own TV remote so that you can keep your living room table clutter free. 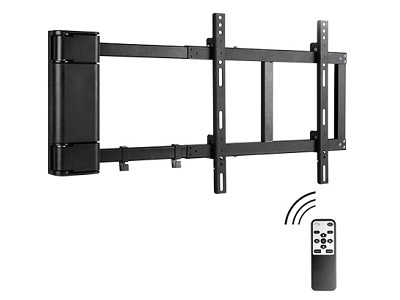 This also allows you to operate the motorized TV wall bracket with your existing TV remote. Can be mounted for either left or right swing. Up to 90 degrees motion. Can this be installed both left and right handed depending on the room configuration?